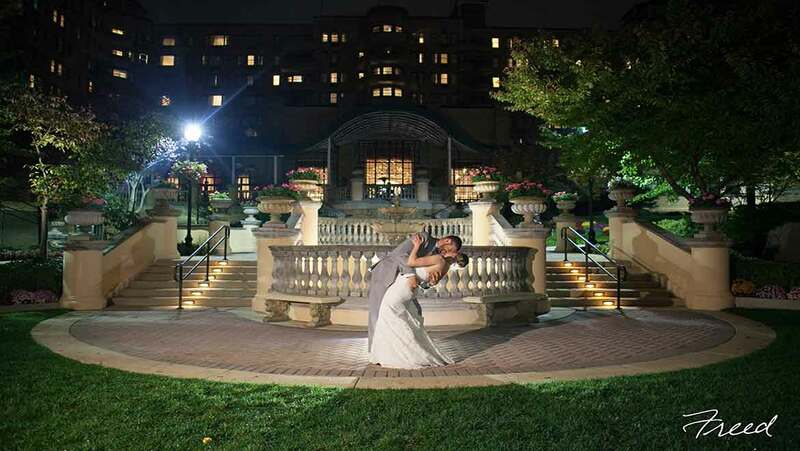 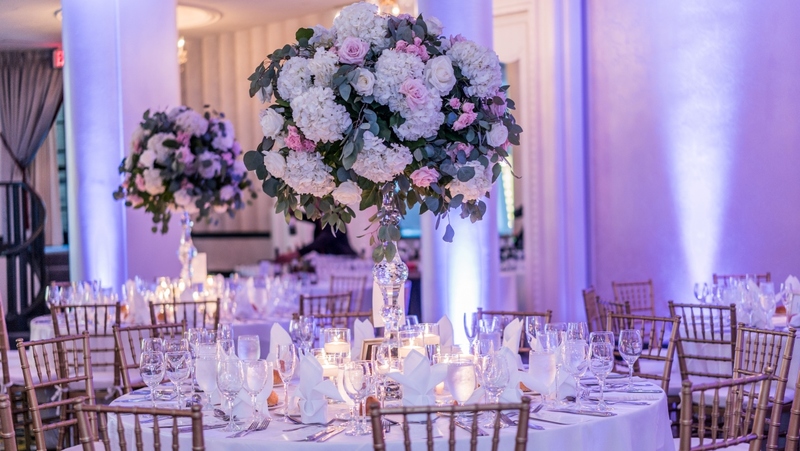 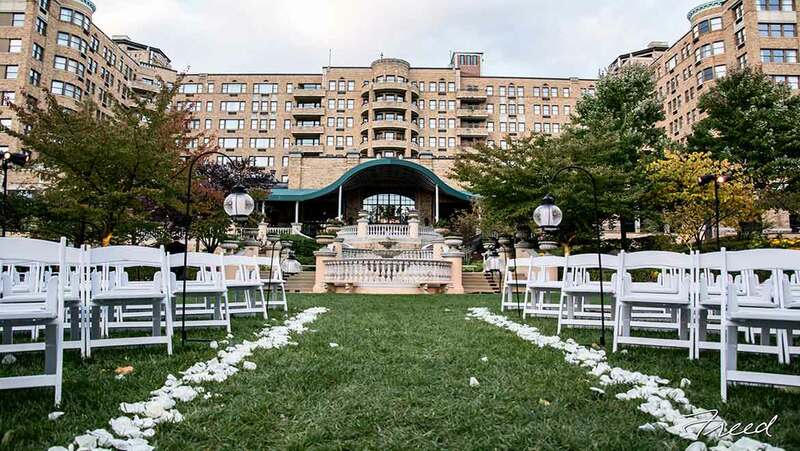 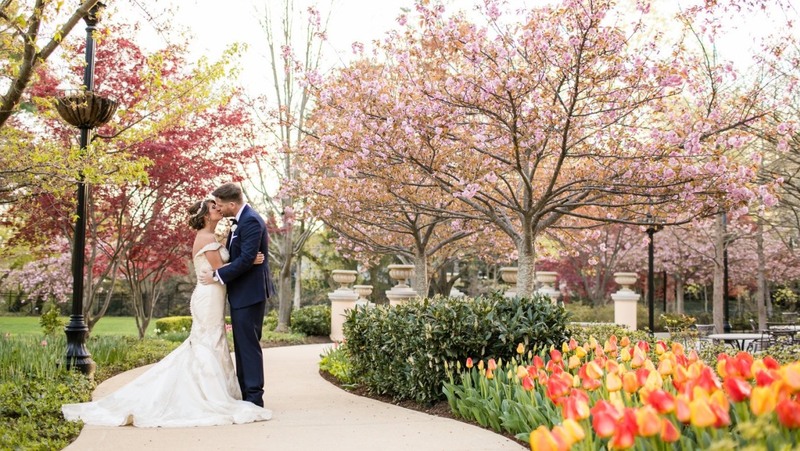 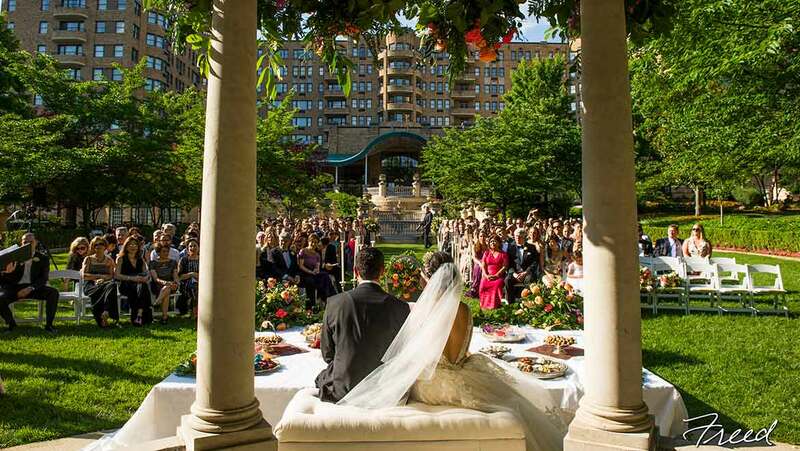 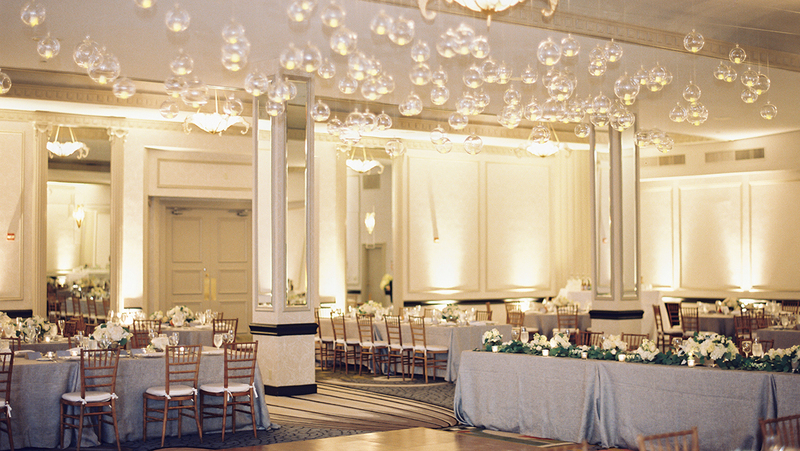 Omni Shoreham Hotel provides an ideal place to host an elegant and sophisticated wedding in Washington, D.C. 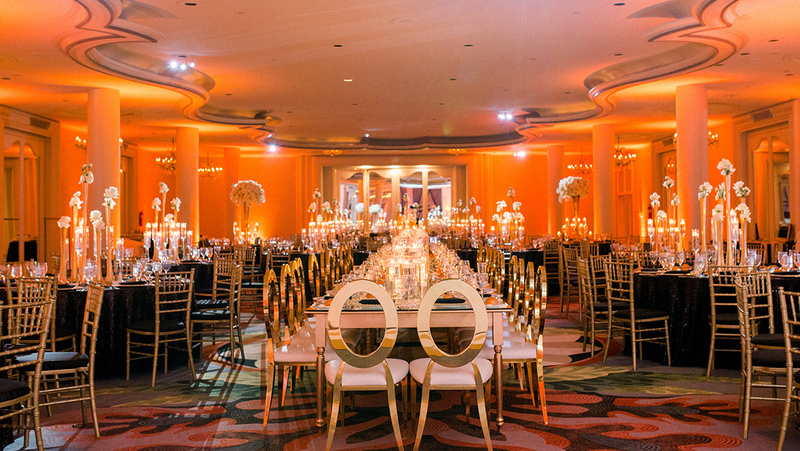 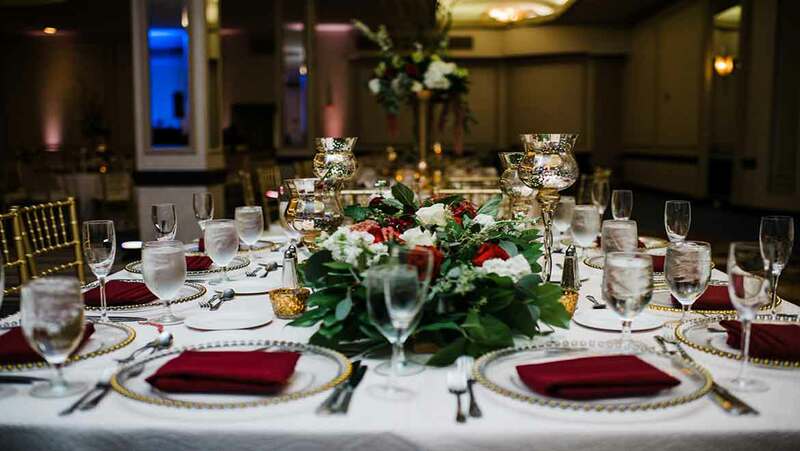 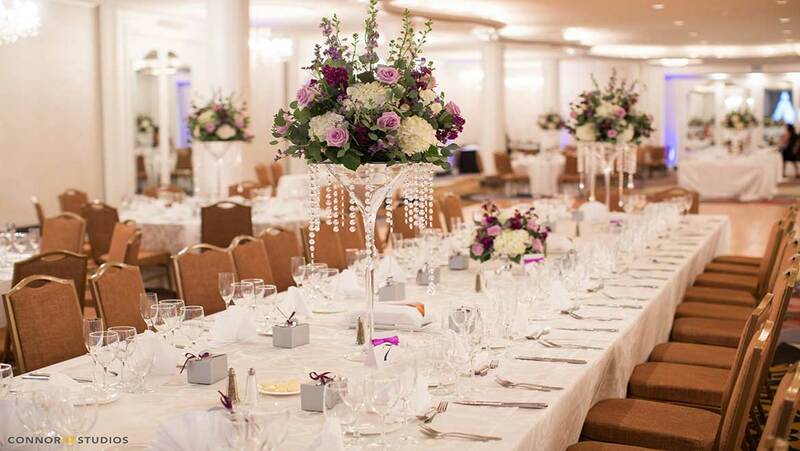 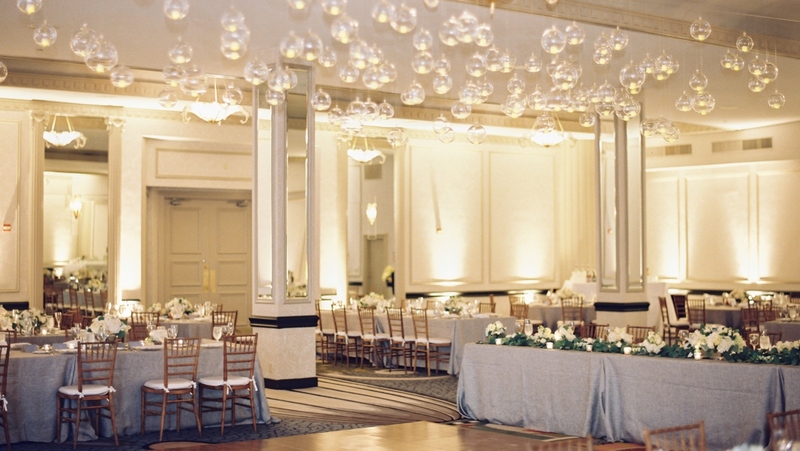 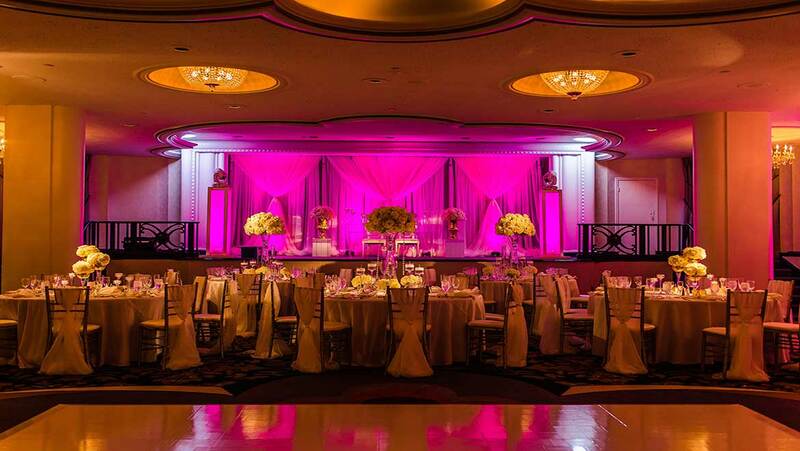 Stylish and unique, our ballrooms can accommodate your attendees in a variety of styles, and all of our venues come with the unmatched service our hotel is known for. 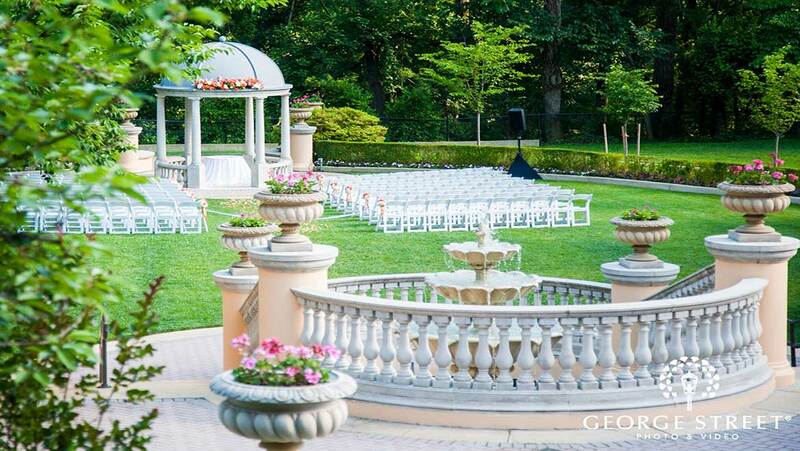 Our lush outdoor gardens overlook Rock Creek Park. 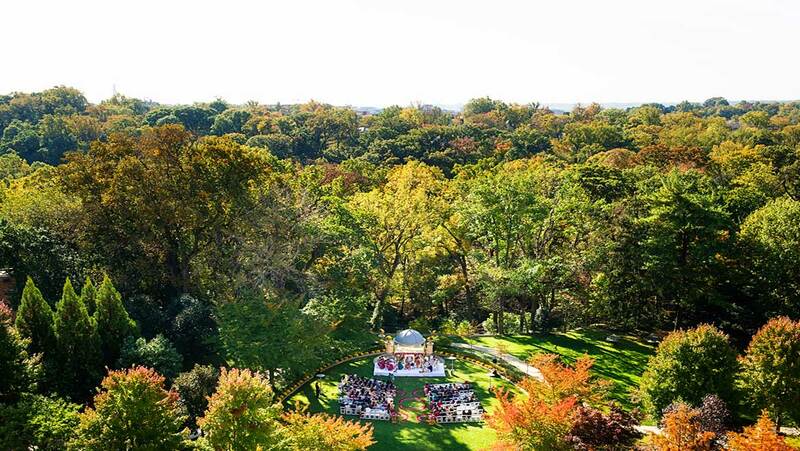 Say “I do” under the moon or with the afternoon sun dappling the gardens. 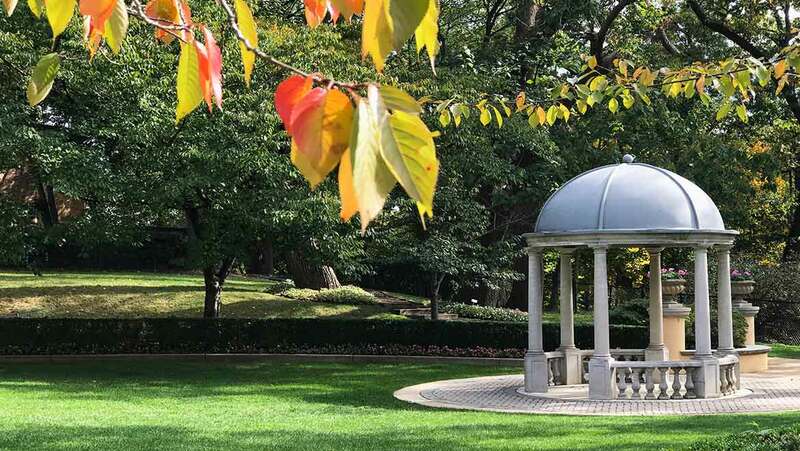 You won’t believe you’re in the city. 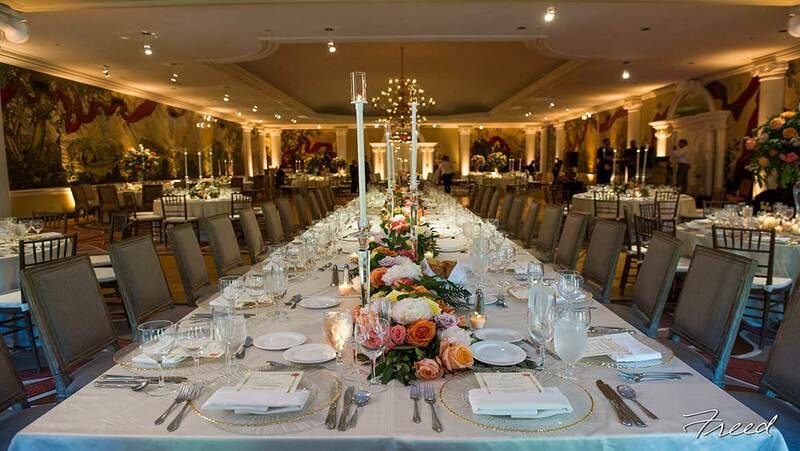 Ceremony maximum capacity: 350 guests. 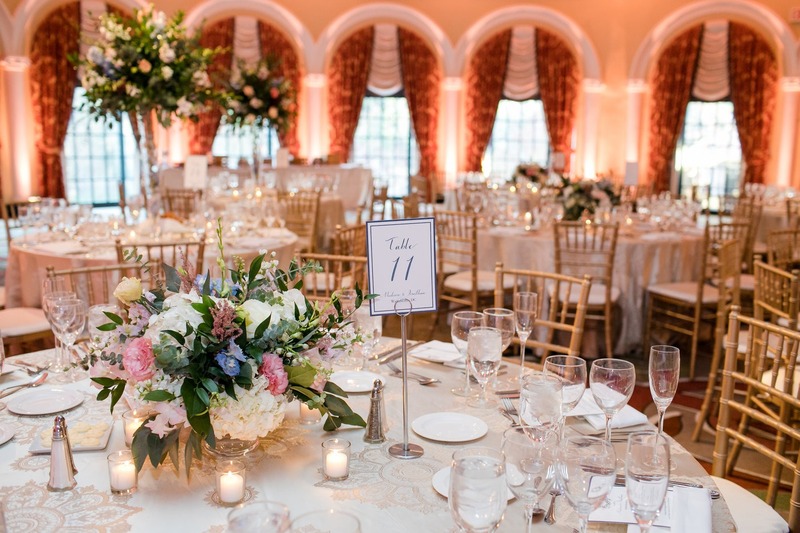 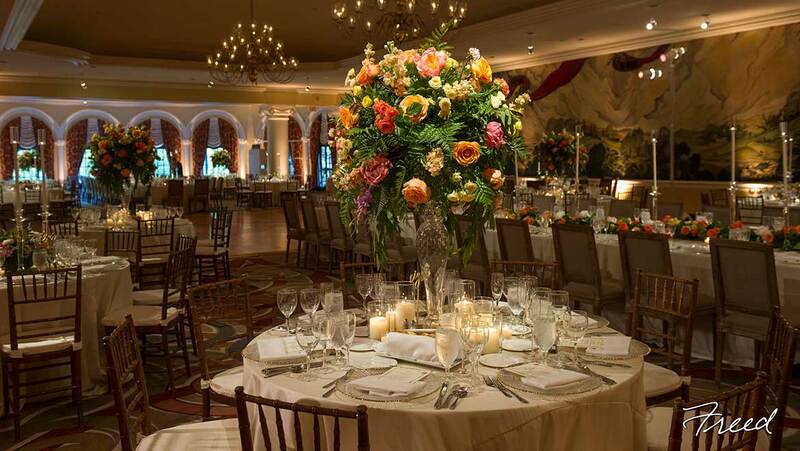 A vibrant and uniquely designed ballroom in the Jeffersonian architectural style, the Palladian Ballroom is bright with oval windows overlooking our magnificent gazebo and lawn. 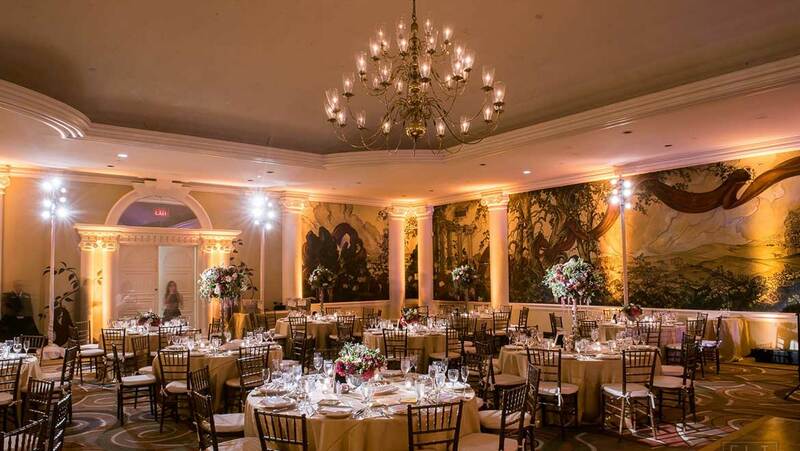 Its colorful wall murals, depicting Thomas Jefferson’s Monticello, are the perfect backdrop for an elegant wedding reception. 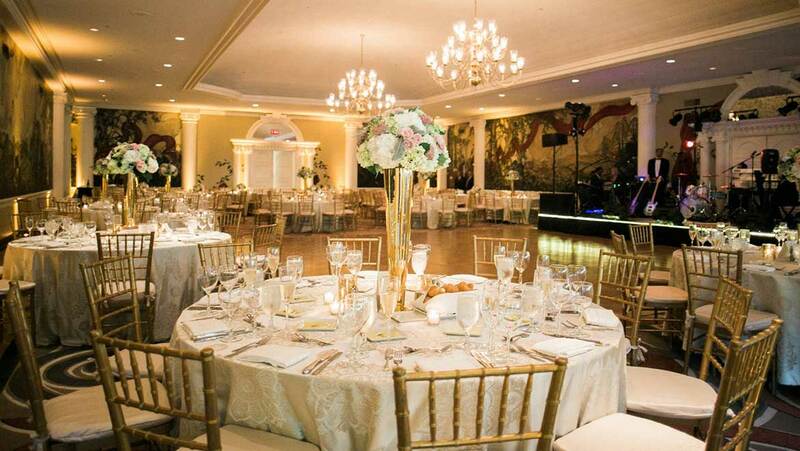 Dinner and dance maximum capacity: 250 guests. 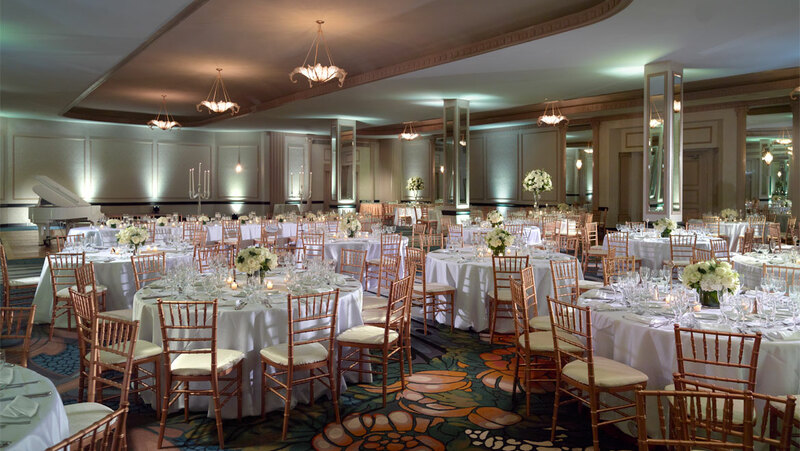 With its Art Deco style, dramatic stage and crystal chandeliers, the Empire Ballroom boasts unmatched elegance for your upcoming celebration. 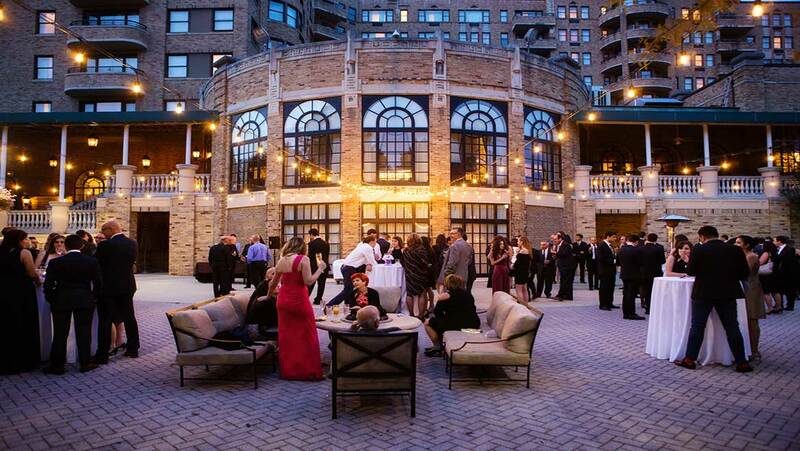 Start the evening with a cocktail hour on the connecting terrace, overlooking our beautiful gardens. 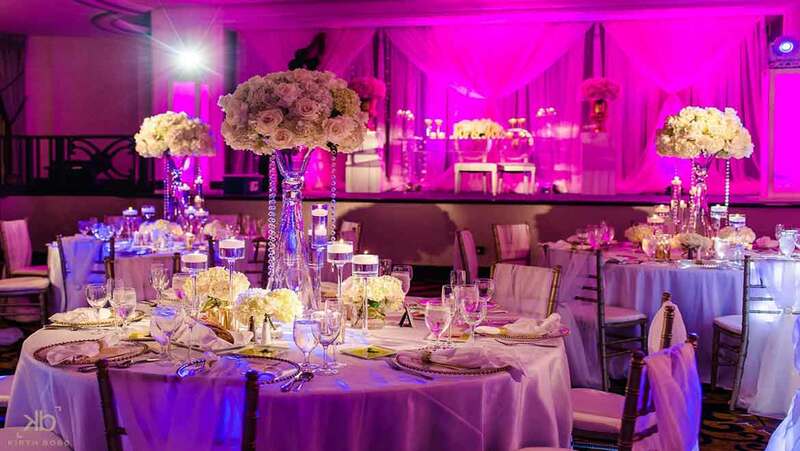 Dinner and dance maximum capacity: 200 guests. 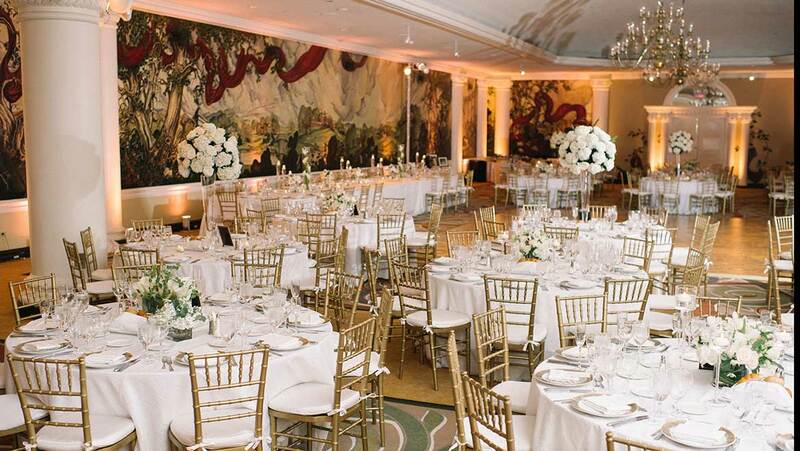 Experience the elegance and charm that brought John F. Kennedy and Jacqueline Bouvier Kennedy together. 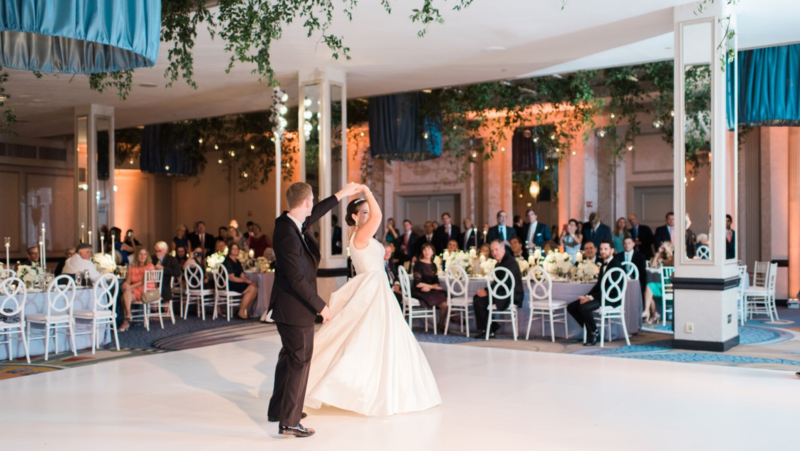 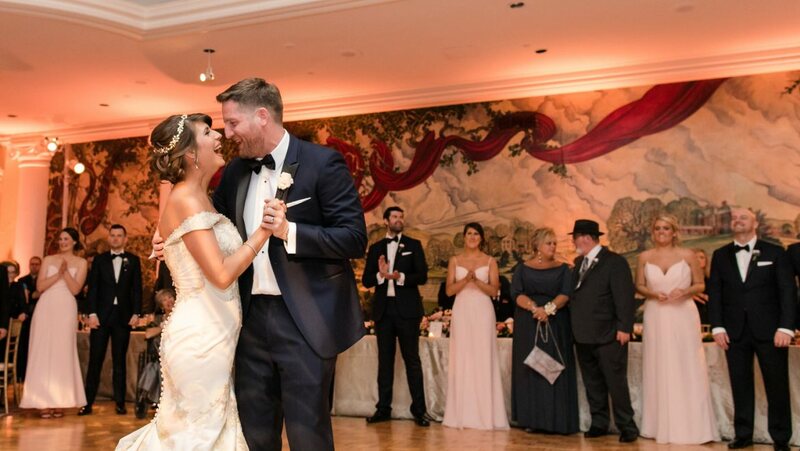 During their courtship, they sipped drinks in the handsome Marquee Lounge, enjoyed exquisite food and danced the night away on the Blue Room’s terrace. 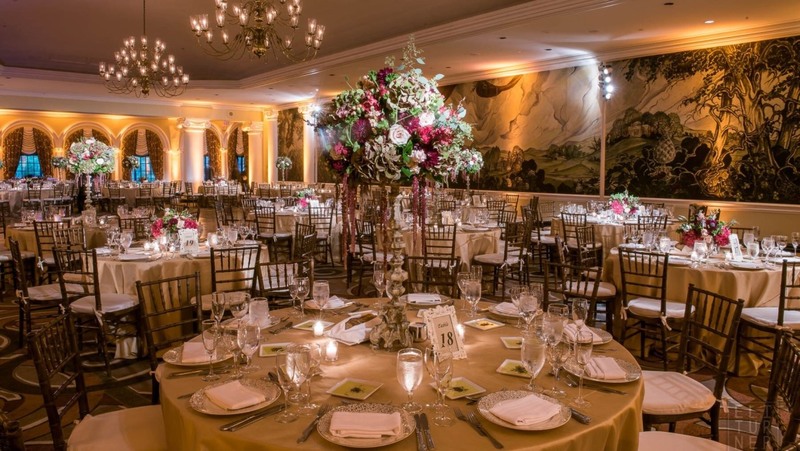 Among the galaxy of entertainers who have performed in this historic setting are Judy Garland, Aretha Franklin, Phyllis Diller, Benny Goodman, Tony Bennett and Bob Hope. 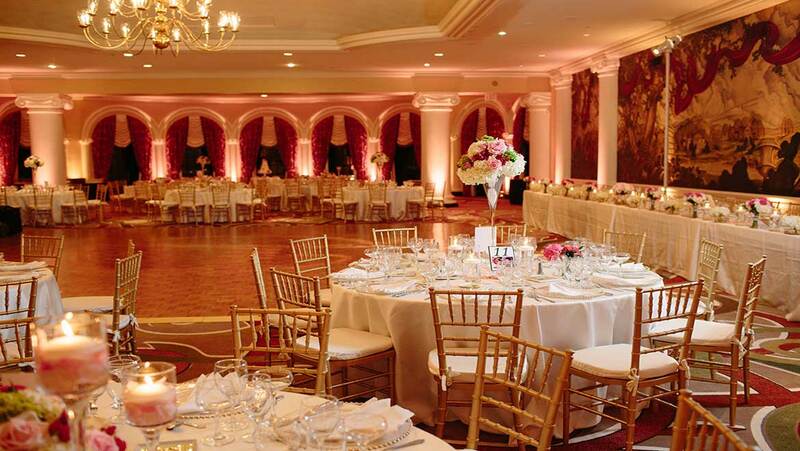 Dinner and dance maximum capacity: 350 guests.